McLaren has been designing its Formula 1 racing efforts and sports cars using a virtual reality simulator, and now it’d like to think it could market this to the rest of the automotive industry. That doesn’t mean your next car will drive like a McLaren, though. 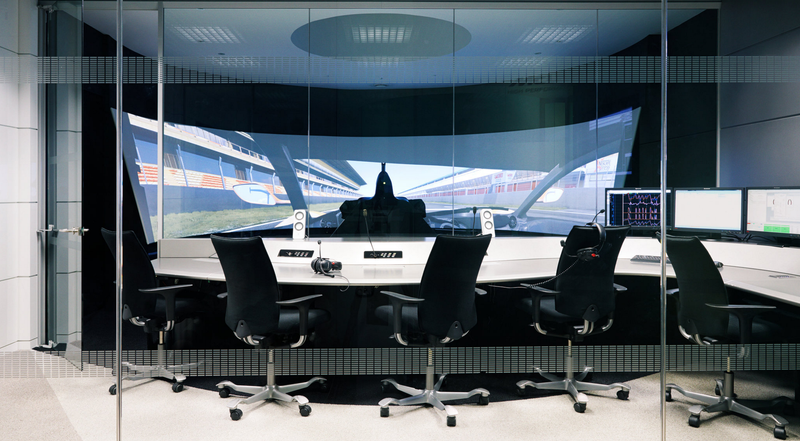 According to The New York Times, McLaren believes its innovative simulator system could be sold to larger automotive companies for vehicle development, with the potential scale back development time and cost for everything from supercars to SUVs. McLaren began developing its simulator in 1998 for its Formula 1 efforts, turning to the aerospace engineering industry for guidance on developing the system. It eventually realized it could streamline development of its road cars as well, cutting out years of the real-world trial-and-error physical test cars have to sort through with software, components and different testing conditions. After utilizing the simulator for its own needs, McLaren turned to offering other Formula 1 teams testing opportunities for their vehicles as a service. Now the plan is to sell the third generation of the system off to automakers. McLaren has partnered with MTS, a company which already specializes in car testing equipment, to help market the simulator. The system is being sold for just under $10 million. Critics point out that adopting such a drastically different development strategy would require major shifts for larger automakers with suppliers and other resources which could come at quite a cost. McLaren is confident that, despite the amount of adjustment an automaker would be forced to make, they can expect a profit within the first year of use, with expanding profits as the companies learn to utilize the system and vehicle development becomes more efficient. So offering a product that could cut costs, minimize development time, and provide a seemingly infinite degree of testing for something under $10 million sort of sounds like a deal considering how much vehicle development costs can climb to. We’ll just have to wait and see which automaker is willing to try it out. Hopefully some of that McLaren DNA finds a way into my next hatchback.